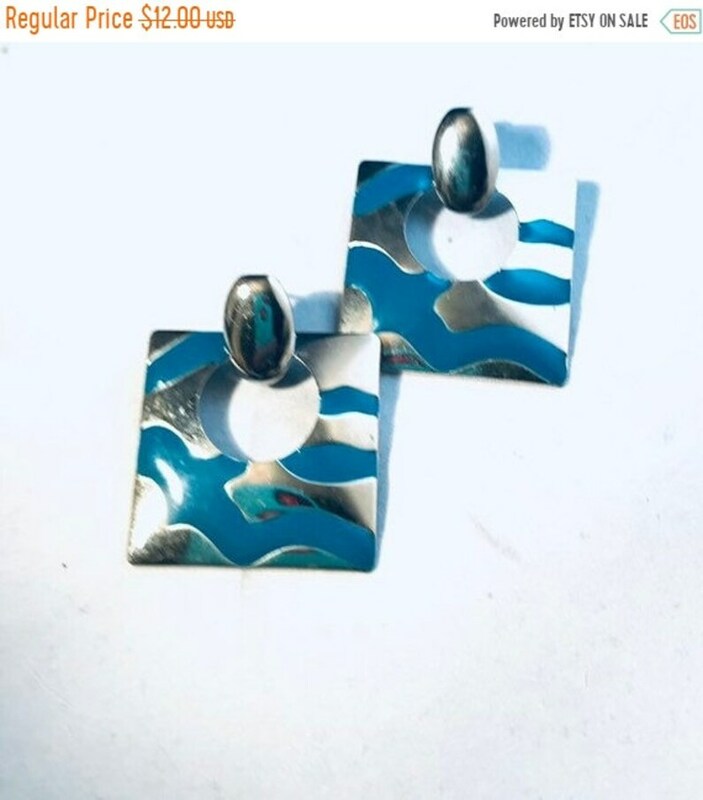 Earrings, featuring Animal, zebra print, BOLD turquoise blue, highlighted on shiny, high polished silver background. Open cut Square Silver Dangle Earrings. Beautiful Style, No color loss, no damage! Unique and beautiful.